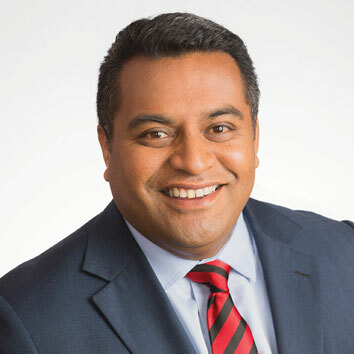 Kris Faafoi was elected as the Member of Parliament for Mana in November 2010 following more than a decade working as a journalist at both TVNZ and the BBC. Kris lives in Porirua with his partner Mae and has three sons. Kris was appointed as the Minister for Civil Defence, Commerce and Consumer Affairs as well as the Associate Immigration Minister following results of the 2017 General Election. In the area of Civil Defence, Kris has a strong vision for ensuring that both government and communities are prepared to look after each other in the event of a local or national emergency. As the Minister of Commerce and Consumer Affairs, he’s committed to ensuring the wheels of commerce move smoothly and that New Zealand tackles every advantage it can to grow our economy, jobs wages and opportunities. Being a lifelong fan of TV show Fair Go he’s keen to ensure kiwi’s get a fair deal when buying goods and services. With experience as a former journalist, Kris wants to ensure that anything we do as a Labour Government is explained in plain English to the average New Zealander. That way people will understand the economy that works for them.